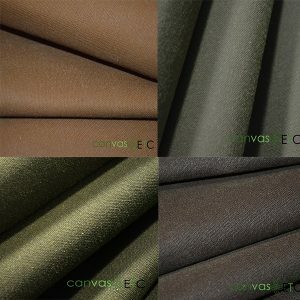 Waxed Canvas | By the Yard or Roll | Canvas Wholesale | Canvas ETC. Canvas Etc. is Your Waxed Canvas Superstore! 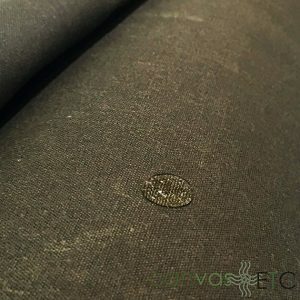 Waxed canvas fabric for sale for bags, luggage, totes, tote bags, backpacks, other adventure gear, and so much more. This fabric is durable and meant to last! 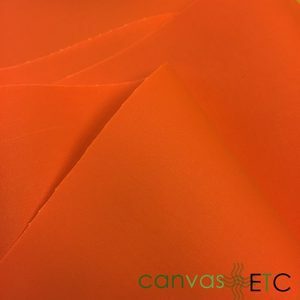 As a wholesale fabrics distributor, we have the highest quality and largest selection of waxed canvas colors than anywhere else you will search and find. 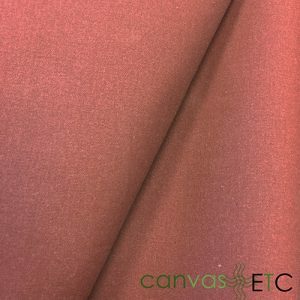 Waxed canvas is always available by the yard, as well. 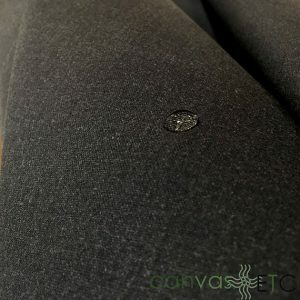 If you are searching for where to buy waxed canvas, look no further than CanvasEtc.com! Use waxed canvas for tote bags or backpacks or any other item for many years without washing. Darker colors tend not to soil or stain as easily as lighter colors. If soiling does occur, do not launder, or use detergent to wash this fabric. Wax canvas fabrics should be treated like leather: spot clean with a hose, soft scrub brush or damp cloth. For stubborn stains use saddle soap, or flake soap (not detergent) will do the trick. NEVER use detergent (liquid or powdered) or even dry clean. 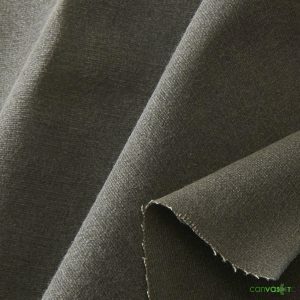 Waxed canvas is generally used for a variety of outdoor uses. The fabric is incredibly strong, durable and resilient. Customers often use waxed canvas for the manufacturing and crafting of industrial covers because it withstands harsh weather conditions! Waxed cotton is also ideal for creating and producing waterproof clothing! The natural fabric that is treated is a 12 oz single fill duck canvas. Roughly 6-8 oz of canvas wax is added on to the canvas to increase strength and durability. 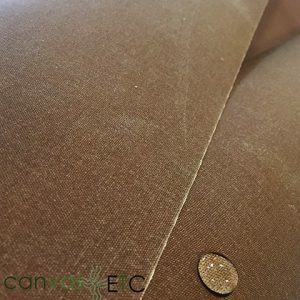 Our waxed canvas is generally very easy to sew with and manipulate. We highly recommend using our bonded polyester thread for these fabrics when working to craft a finished product. Tarps: Tarps benefit from waxed canvas because of the water repellent nature of the fabric and coating. Tarps may be used to cover boats, motorcycles, cars, or even equipment or building materials kept outdoors. Backpacks: Waxed canvas backpacks are making a comeback in a big way. These bags look rugged, can take a good beating, and keep whatever is within from becoming wet. Commuters love waxed canvas backpacks for their protection and nearly impenetrable outer covering. Saddle bags: As an alternative to pricey leather, waxed canvas makes great saddle bags for motorcycles or bicycles. They are as durable as leather and can take a fall without damage. They are also ideal for storage outdoors while keeping contents safe. Luggage: Like all bags, luggage takes a good beating. Waxed canvas can withstand travel. Luggage made from waxed canvas also looks great, and weathers like a high quality leather! Adventure Packs: Like backpacks, adventure packs need to be able to withstand the rigors of travel, camping and hiking. Other Outdoor Gear: If you have a need for outdoor coverage from the elements, check out waxed canvas. The possibilities and versatility of this amazing fabric are more beneficial and affordable than alternatives. 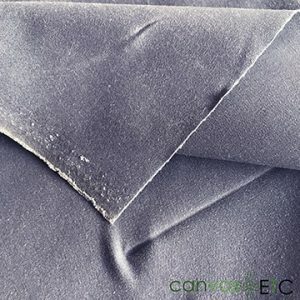 CANVAK waxed canvas can be applied to cotton duck cloth canvas and this will have the waterproofing properties like the waxed canvas that you can select from already treated. You can learn more about CANVAK here. This is the ideal solution to waterproof canvas! Do not dry clean, launder, or use detergent. Clean gently and with a soft scrub brush or damp cloth. Iron on low heat with a thin cloth barrier between the fabric and the iron. For heavy stains use saddle soap. Our waxed cotton duck fabrics can be finished in different widths, weights and in any color. If you have a custom project that needs a lighter weight or heavier weight cotton duck, please feel free to call us regarding wholesale pricing and dye lots. As with so many heavy fabrics, you will want to keep you sewing machine, needles and scissors sharp and clean. You’ll need a heavy duty needle, like a 100/16 or 100/16 to do the job well. A good foot on the sewing machine will also help keep clean and accurate lines. When pressing and pinning your waxed canvas in preparation for sewing, pin with care because holes may show after your project is completed. If possible, use fabric clips instead. Once your project is complete, be sure to clean your machine and work-space well. 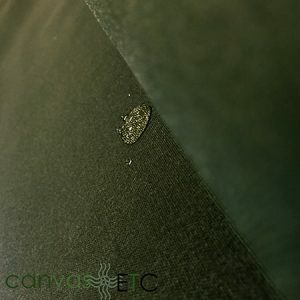 Waxed canvas can leave a buildup of wax that you won’t want transferred onto other projects in the future. Originally, waxed canvas cotton duck fabrics were used in England and Scotland as sails. Egyptians used linseed oil as their wax to create waxed canvas. Not sure if waxed canvas is right for your next project? Contact us today to speak to one of our fabric experts. What is Canvas vs Duck? Canvas and duck are terms used interchangeably, though they have often been confused. 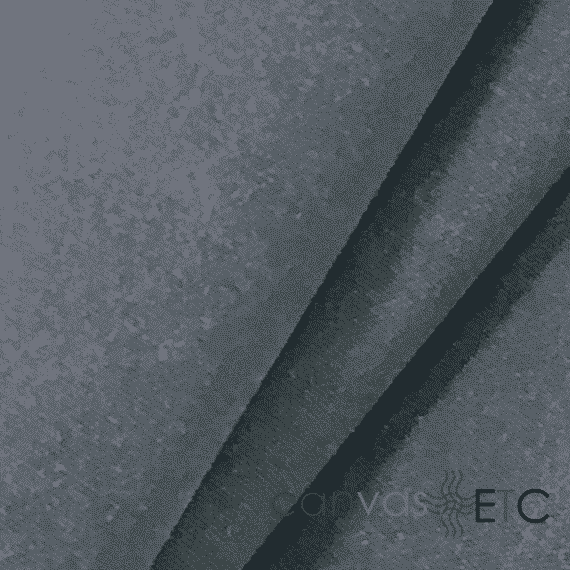 Canvas is defined as a fabric that is strong and heavy, and having a firm hand. Use this fabric for awnings, boat covers, and outdoor furniture. Duck on the other hand is usually spun polyester or spun cotton fabric available in a variety of weights and qualities. Both canvas and duck are available in plain weave or basket weave. 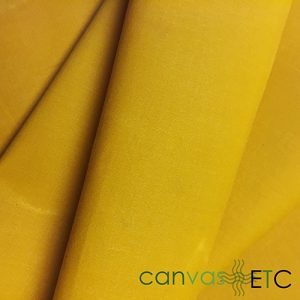 Canvas is made from either cotton or acrylic. Ideally, use waxed canvas when you need something durable that needs some water repellent qualities. We carry a variety of weights, widths and colors depending on your specific needs. Some waxed canvas colors we carry include: Oak, Olive Drab, Orange, Red, Yellow, Charcoal and Field Tan. In the past, waxed cotton canvas seemed to have appeared as a result of the sailing industry in Scotland. Sailors would use their fish oils and grease to coat cotton cloth sails in order to make them waterproof. Wet sails are heavy sails. So, the wax kept them dry, light and easy to work with. Since then, it’s become used for a variety of maritime and military applications. Early retailers used waxed canvas in water repellent jackets and motorcycle clothes. Waterproof canvas has a long and rich history! Choose Your Needle Wisely – Waxed canvas’s heavy weight requires a strong needle. If you are sewing many layers, then look for 100/16 or 110/18 needle sizes. Expect and Enjoy Imperfections – Due to the wax coating, waxed canvas naturally scratches and folds. Embrace this feature of the fabric because it leads to some rugged, one-of-a-kind pieces. Clean Up Your Work Space – After working with waxed canvas, you’ll notice waxy buildup. Be sure to clean your work space, sewing machine and tools after use. What are the Different Kinds of Cotton Duck Cloth Canvas? Single Filled Cotton Duck Cloth: Generally light-weight, loosely woven, oxford weave cotton duck cloth, made from non-plied single yarns. The more common SF ducks weigh 7, 10 and 12 oz/square yard. Numbered Cotton Duck Cloth: Heavier plain weave fabric, made with plied yarns, weighing 12 to 32 oz/square yard. #1 being 32 oz/square yard and #12 being 12 oz/square yard. This cotton duck cloth is tight, firm cotton canvas ranging from 22″ to 150″ in width. This is also called wide duck and the weights (numbering system) are on the inverse scale. The weight of the fabric can be determined by subtracting the duck number from 19. A number 8 cotton duck canvas will weigh (19-8)= 11 oz per linear yard of 22″ width fabric. To get the ounce per square yard, you have to prorate it to 36″ width since 1 square yard is 36″ x 36″. 11 oz per linear yard (22″) is the same as 18 oz/sq. yd. A little confusing, but that’s how the original numbering system was invented. Army Cotton Duck Cloth: 10 oz & 15 oz. 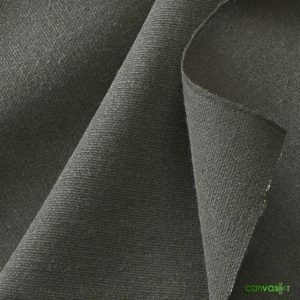 plain weave canvas, generally made with two ply yarns. The yarns are finer than the numbered or SF ducks and the weave tighter. Army cotton duck cloth is usually firmer than single filled ducks. Originally used for army tents and clothes, this versatile cotton duck fabric is used in a variety of applications.